Born in the District of Lago, Province of Niassa, in 1946, John William Kachamila migrated to Tanganyika with his parents when he was about four years old, in search of better living conditions. From the Rift Valley to the Dream of Freedom: Memories Of Lisungo is an amazing autobiography of author John Kachamila, who is now the honorary consul of Serbia in Mozambique. Born in the District of Lago, Province of Niassa, on January 30, 1946, John William Kachamila migrated to Tanganyika with his parents when he was about four years old, in search of better living conditions. From the Rift Valley to the Dream of Freedom: Memories Of Lisungo is an amazing autobiography of author John Kachamila, who is now the honorary consul of Serbia in Mozambique. I met John William Kachamila in March 1963 at the Mgulani refugee camp in Tanzania, where we were housed with other refugees from Mozambique, South Africa, Namibia and Zimbabwe. His straightforwardness and generosity made him well-liked by all. Patient and determined, John is a great educator and adviser. From the Rift Valley to the Dream of Freedom: Memories Of Lisungo by John Kachamila is a mesmerising memoir, a compelling story. John William Kachamila and his parents left his hometown when he was just four years old to seek better opportunities in Tanganyika. The author documents vivid memories of his early life and moves on swiftly to offer a spellbinding account of his life, his career in the National Liberation Struggle, and the government. Now serving as honorary consul of Serbia in Mozambique, Kachamila’s life illustrates a journey in search of justice and truth, for equal opportunity for all, a journey of freedom, and one man’s unshakable faith in himself, and the belief that he can make a huge difference in the lives of others. 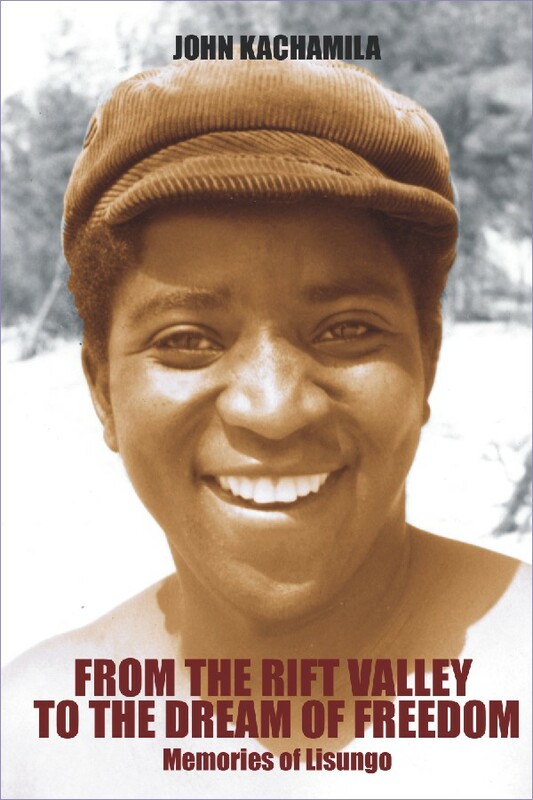 The memoir is written in a simple, accessible, and captivating style and readers will love the picturesque scenes the author offers of his childhood along the shores of Lake Niassa. I was pulled in from the very beginning of the story with the dramatic moments, the vivid descriptions of the setting, and the author’s unique outlook and perspective on life. This book is filled with numerous and wonderful historical references and the reader will feel as though they are navigating the political landscapes in Africa with the characters. A lot has happened to the protagonist, including a deadly attack on his life, but what will surprise readers is the fact that he has decided to create his own path towards inner freedom and service. From the Rift Valley to the Dream of Freedom: Memories of Lisungo is every bit as captivating as it is inspiring.